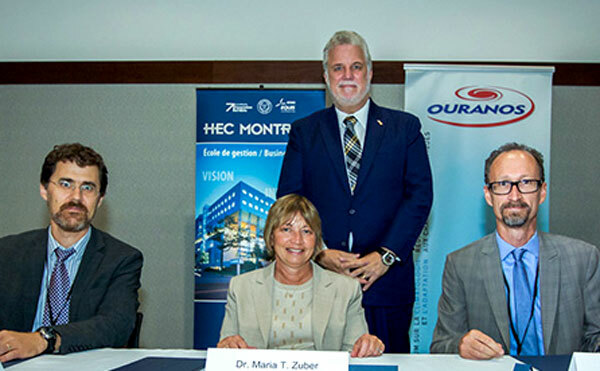 The research project with MIT and Ouranos will analyze the economic impact of better integrating renewable energy in the Quebec and New England markets. The primary goal of the research is to create a model simulating real-time electricity transmission decisions in the target regions. The findings will lead to better decision-making in optimizing electricity production and transmission. The project has also received $100,000 in funding from Hydro-Québec. “Hydro-Québec is pleased to take part in developing an integrated energy policy model that will inform decision-makers on both sides of the border,” says Hydro-Québec President and CEO, Éric Martel. The agreement was signed in Boston at a ceremony that was also attended by Premier Philippe Couillard.